A mind that is able to hold its rational and non-rational aspect in equal dynamic balance is able to rise above conditioned, unconscious states of being. This is the necessary, integrated attitude of mind that supports true creativity. 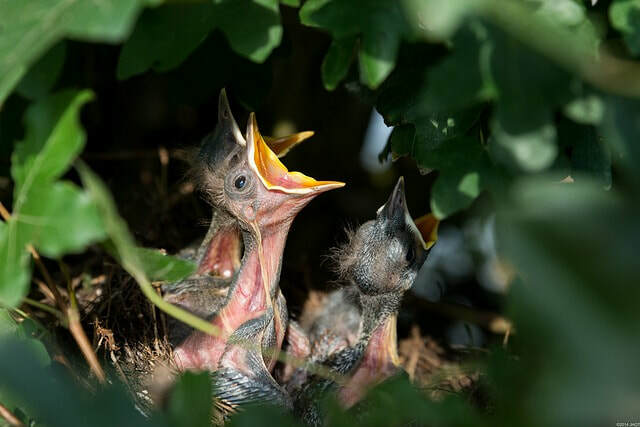 Before they are launched into a dangerous world, fledglings are protected from it by the nest’s elevation. Our nascent ideas are similarly in need of protection before we expose them to the world at large and risk exposing them to ridicule and opposition. The early immature stages of a new initiative are almost transcendental in nature – more light than substance, and therefore often more to do with idealisation than workability. Before we try out something new and commit energy and resources to its realisation, it is wise to understand something of what gave rise to the idea, and also what might be the implications of making it manifest. This will enable an early appreciation of the possible merits or demerits, while action is held in abeyance. Potential is a power that can grow, but only if carefully held and nurtured, awaiting its time. As we wait, it is useful to review our ideas in a more detached, elevated perspective. Elevation brings higher consciousness and through it we gain supervision, super vision, the superior aspect of vision, which allows us to distance ourselves from the emotionality and fixity of mind that robs us of wisdom. Genius, the universal possibility, is brought into the world by a process not an event. Its early stages include the spontaneous inception of a visionary ideal – and then a formulation into what can be made workable. Both the ideal and the practical must contribute to required outcomes in the real world. Any fool can proclaim something to dazzle the gullibility of the psychologically impoverished – blind leading the blind towards failure and waste, due to poor planning and poor timing. Yet true inspiration, which eventually propels humanity to new heights of evolutionary excellence, must first be contemplated in a mental zone free from engrossment of worldly concerns. It takes the chess-mind of rational intelligence to anticipate many moves ahead so that the projection, from idea into action, has an optimal chance of realisation. So when something important arises as a new, inspired idea, it may be advisable to take time out away from the busyness of the world because on retreat we open up to see things more clearly. Before accepting them as valid, we can witness our own thoughts to examine their causes and the potential effect of following them.